Let me be “Frank” with you; when I first smelled Frankincense Essential Oil it was not one of those things I immediately fell in love with. The scent is very reminiscent of something I like to call “Old People Smell” – it made me think of my grandfather. Perhaps it was something he used as part of his daily routine? “Odd”, you might say? Perhaps not! Best known for burning as incense, Frankincense is traditionally in the form of gum or resin from Frankincense or Olibanum Trees. When burned, the resulting smoke cleanses the air to eliminate germs and offending odors. 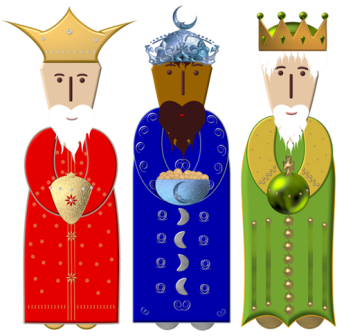 Frankincense is a very powerful antiseptic and disinfectant; it appears those Three Wise Men in Biblical times really knew what they were doing! *Knowing this, it is not surprising the essential oil form of Frankincense can be used for a wide variety of ailments. Many have claimed to eliminate bothersome skin tags and stretch marks. I’ve used the oil “neat” on minor skin abrasions and they become less red and heal faster. From oral and digestive health to skin healing and anti-aging, the uses are endless. What initially drew me to using this promising oil was the opportunity to use a natural treatment in reducing the appearance of age/sun spots. From previous blog posts you can gather the process didn’t work fast enough for me. By applying the oil full-strength, directly to my dark spots, they did appear lighter initially. The problem was, I smelled like my grandfather and I wasn’t getting the drastic results I so desperately needed since the spots were on my face. As part of an ongoing effort to support healthy, younger looking skin, I ended up creating a power-packed body oil to use daily. With the addition of Orange Essential Oil it helped to soften the scent of the Frankincense, it smells sweet and spicy! The bonus, my skin is much smoother. Use over the entire body after exiting the shower and after cleansing the face before bedtime. Heat Coconut Oil to liquid state and add in the Essential Oils. Mix and store in a sealed jar. I’ve also used Frankincense & Orange in a solid lotion bar. Because solid lotion bars often contain bees wax I only use them during the winter (not on my face) to completely seal in the moisture on cracked heels, dry elbows and flaky legs. Various recipes can be found all across the web but here’s how I make mine. Melt Bee’s Wax and Coconut Oil together, remove from heat and add your Essential Oils. Pour into clean molds or into an empty solid deodorant container, allow to cool and use! The heat of your skin will warm it up for application! Beyond the skin, many have successfully used the oil not just topically but also internally in an effort to help reduce pain due to inflammation. Healing of certain cancers may also show promise with the use of high quality Frankincense Essential Oil, from skin cancer to liver cancer. Do your research before using internally, especially if you are on any medications. I have yet to try my oil internally but as with any EO, make sure you do your research and get the best oils you can. Always feeling full in the tummy? I’ve found that Frankincense also helped alleviate this feeling in my belly! Ever since I had my gall bladder removed a few years ago I’ve struggled with a feeling of fullness in the upper area of my abdomen where my gall bladder used to be (right where your liver sits). I swipe this area with a drop or two of Frankincense Essential Oil and my tummy feels less full and less tender for the rest of the day! If you can’t tell, I’m a real believer in the power of Frankincense Essential Oil. I’m sure there are many uses I have yet to uncover but that’s the exciting part of this entire journey. Over time I hope to find real, natural solutions to what ails me without having to turn man-made pharma for a temporary fix. The power of nature is astounding! Love Frankincense! I use that and Grapefruit over my liver and gallbladder often! I see Grapefruit is the next oil you’re going to blog about, too. COOL!